We provide property and business valuation consultancy services across NSW and the Eastern States of Australia. OUR HEAD OFFICE IS IN MOSMAN, SYDNEY. From our Mosman office our team is able to coordinate our operations in Sydney and in areas such as the Central Coast, Blue Mountains & South Coast NSW. For these clients we can provide day to day valuation services. We are able to service greater regional NSW as well as interstate clients for specialist matters such as compulsory acquisition claims, specialised valuations such as retirement villages or rural holdings with going concerns. We require additional notice for these assignments. Please don’t hesitate to contact our valuers to discuss your requirements. If you your property is located in Sydney, Greater Sydney, Blue Mountains, Central Coast or Wollongong/Illawarra we are able to service your requirements with short notice. Please contact us for further information. We service clients in rural NSW or other states such as Queensland, Victoria and Tasmania. These services are usually for matters requiring specialised attention such as going concern and business, rural, retirement village, compulsory acquisition or expert witness support. Please contact our office to discuss your requirements and time frames. 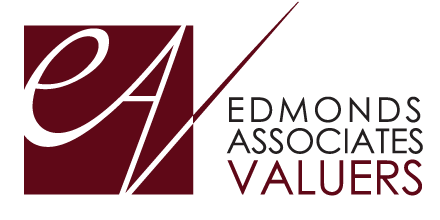 If you require an urgent valuation please do not hesitate to contact our office. If you are located in Sydney, Greater Sydney, Blue Mountains, Central Coast or Wollongong/Illawarra we may be able to attend and inspect your property on the next business day. Upon receiving your instructions we will set a time frame in which your valuation report will be delivered, this will depend on the complexity the matter at hand and can range from a number of days to a number of weeks. SERVICING SYDNEY, WOLLONGONG & REGIONAL NSW. “I have recently engaged Edmonds and Associates to value a Sydney marina with a freehold and business component. The with the level of detail and information provided in the report was of immense assistance in my ongoing negotiations to purchase”. EA Valuers were recently engaged to value a modern industrial strata unit in Sydney's north. Two separate dates of valuation approximately 20 months apart presented us with a good opportunity to track market developments in this competitive market segment.